When planning the decoration of a room, one of the most important decisions to make is that referring to the colors to be found in the room. The colors, in addition to decorating the rooms, they serve to convey emotions and influence the moods of people. They are also capable of changing perceptions about the space and proportions. So when you're preparing the details of a renewal for living room or bedroom, you should not take this matter lightly. Consider the effects caused for each color, the possible combinations and interaction with the furniture you already own, it is indispensable for a harmonious and balanced room. On this occasion, we will explore the color chocolate: its peculiarities, possible combinations, things you should avoid and some specific ideas to help you decorate your room. Some colors are often associated with different elements of nature. Refer to the brown earth tones, wood from trees. The chocolate generates feelings of tranquility, relaxation, comfort and harmony. Therefore, its use is suitable for rooms in which social relationships are held: offices, living rooms, dining rooms and also the rooms, by the feeling of relaxation it generates. The rooms decorated with chocolate tones become the most welcoming of the house, but with the right combination of colors, are also smart and sophisticated. This color provides many options when combined. A rule can consider is the following: use three colors at a rate 60 + 30 + 10. Ie use chocolate as a protagonist, a second color to a lesser extent and a third to break the duality. 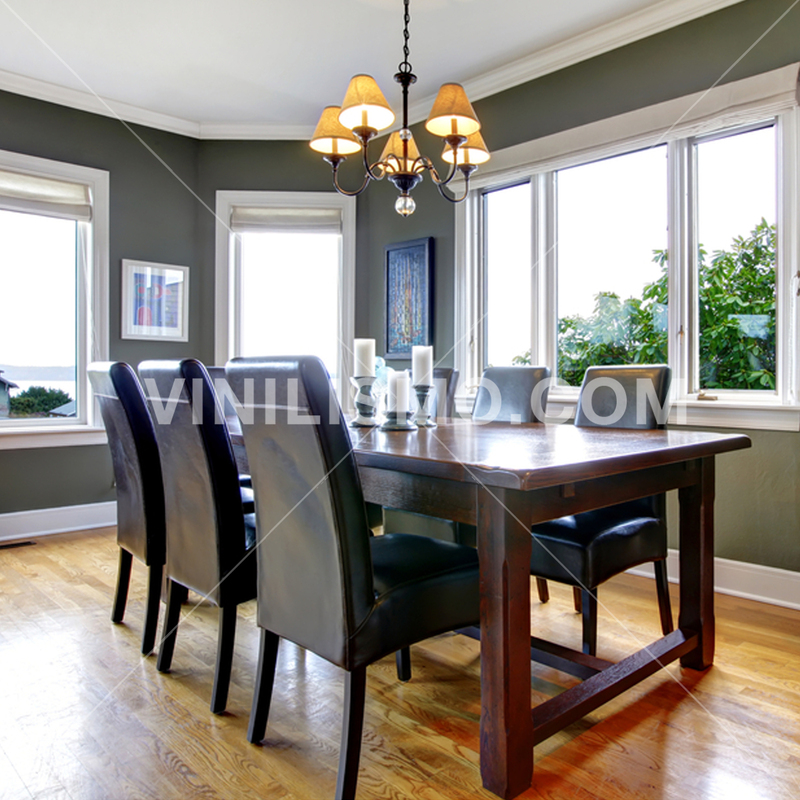 The latter color may be provided by furniture and accessories such as curtains, paintings and other decorative items. But an excellent option to cover this fee may be purchased wall decals. 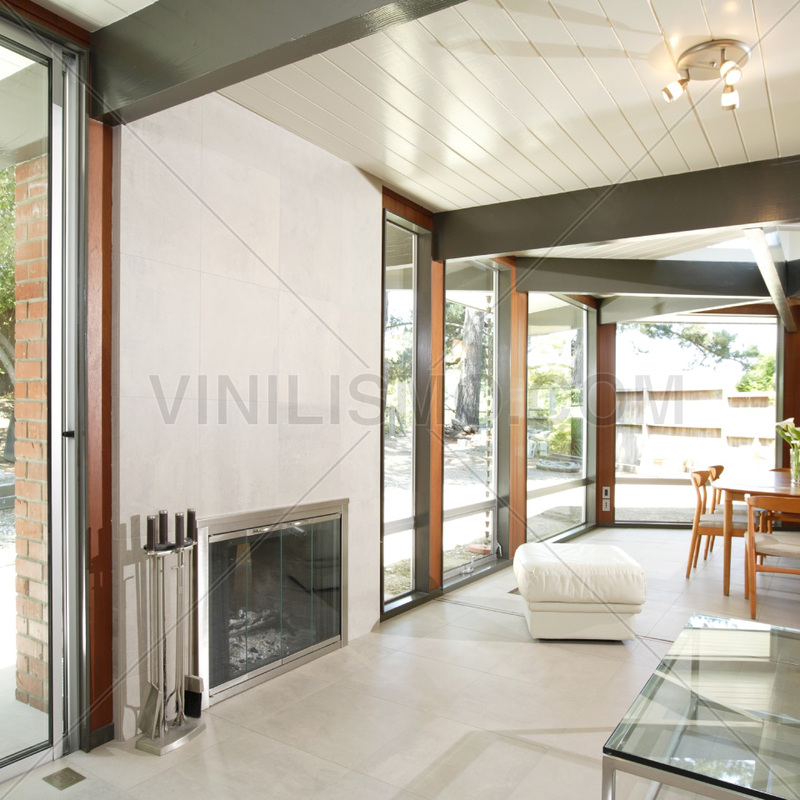 The vinyl can be used to complement a room with a wall chocolate color. One possibility is to choose a pattern (sober or funny as your intention is for the room), a color as a means olive or brown that resembles gold. Other possible combinations are the cold cream and blue. A wall chocolate, chairs the same color, a creamy color curtains and vinyl in blue are an exquisite combination. In the bedroom, the chocolate go well with pale colors, with lavender and dark pink. 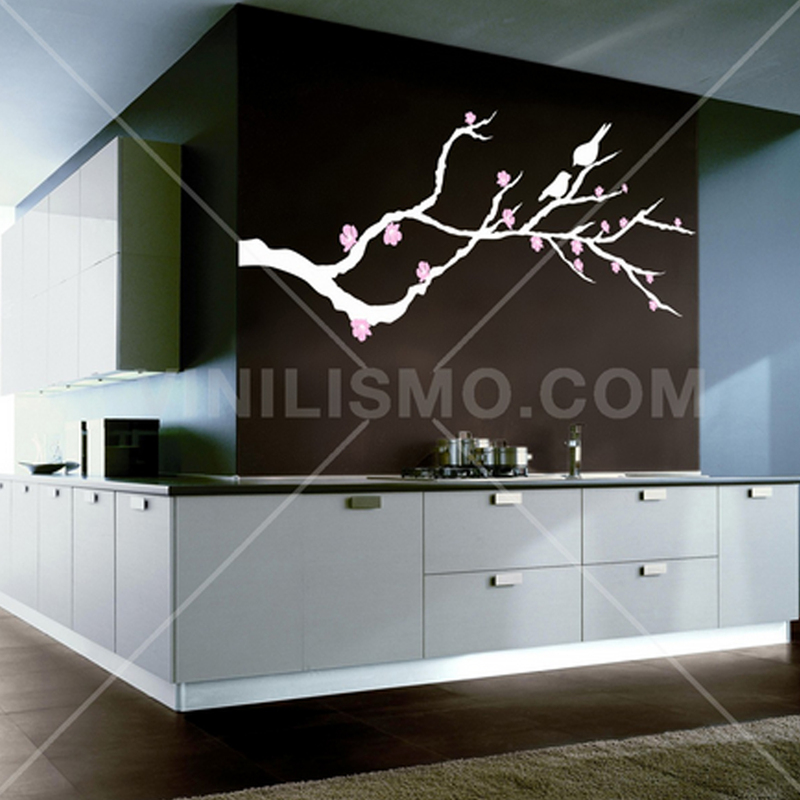 Buy wall decals will allow you to give a modern touch to your room quickly and easily. The vinyl also have the advantage of allowing you to choose the color and the exact reason you want to complete the decor of your room. Buy decorative vinyl is an excellent way to give your room the finishing touch to make it look like a reflection of your personality. Easy installation allows you to make changes to renew your rooms without the need to spend large sums of money. We hope this article has been of inspiration so you can decorate your home using chocolate. 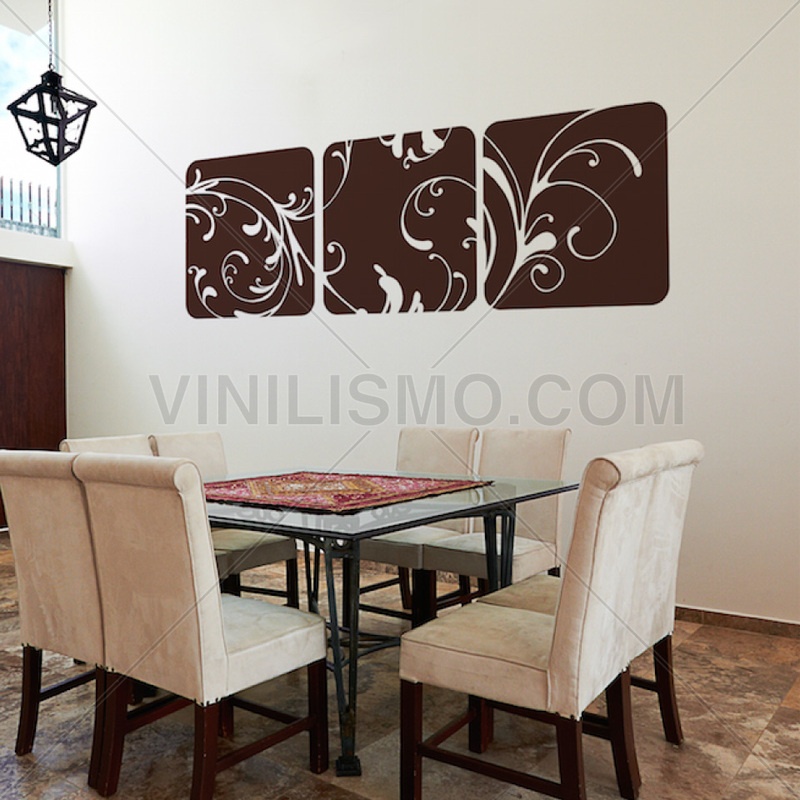 This entry was posted in Interior Decoration, Wall Decals on July 31, 2015 by Vinilismo. The world in which we live is in constant change and renewal permanently. Ideas do not stagnate, but flowing, mutate and give way to other ideas, innovative and fresh than before. With the trends in decoration is the same. New styles all the time, combinations of other existing styles, new perspectives, rescue earlier styles emerge, along with many other ways to achieve originality. Sometimes trends are born in an area and are taken by another, assigning specific to that particular area. In the case of Boho-Chic style, born in the world of fashion, and then was taken to the decoration. This style has a mix of hippie and bohemian, accompanied by vintage and ethnic. This combination gives rise to Boho-Chic, a trend relaxed and inspired on freedom to incorporate your decorating plans. While this is an eclectic style, which gives wide latitude for decoration, there are elements that are very characteristic of this style. Here are some of the inevitable features in a room Boho-Chic. 1.- Protagonist: A Boho-Chic atmosphere is very important to have a part to take the role: an antique cabinet, a mirror with a working framework, a hanging lamp. Remember that there is not a bohemian but Boho-Chic style, so you need an exclusive protagonist, a product design, something that catches your eye. 2.- Color: This stylepreferably usedsaturated colorsand neutralinits darkPreferred bythe players of theBoho-Chic's are red,orange, blue, gray and brown.The inclinationistoreferthe colorsof nature,the earth, the sun. The contrastsare very important. 3.- Prints: The textile elements are very important for this trend. Cushions like chairs, curtains fulfilling the role of doors, woven blankets on the couches. But the patterns should preferably be inspired by ethnic motives as Arabic or Indian. Abound carpets and walls with fabrics. To achieve patterns with features Boho-Chic, you can resort to decorating with vinyl. 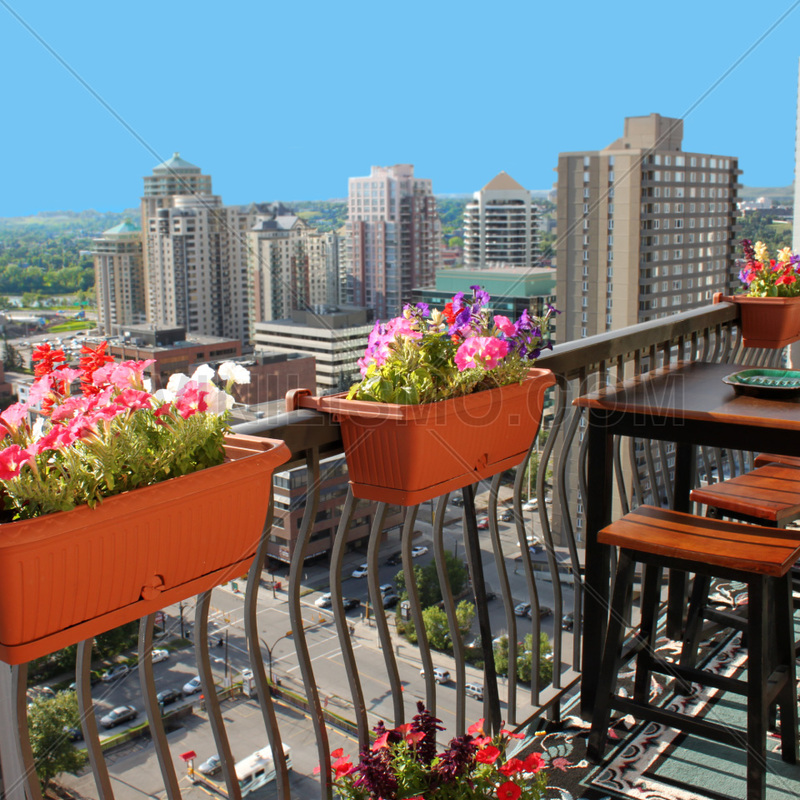 4.- Plants: Plants are very important,in all sizes, with or without flowers, but always verywell maintained. 5.- Vintage Furniture: Furniture of a Boho-Chic room should preferably be old. The restored furniture are indicated. 6.- Walls: You can give them identity using wall decals. 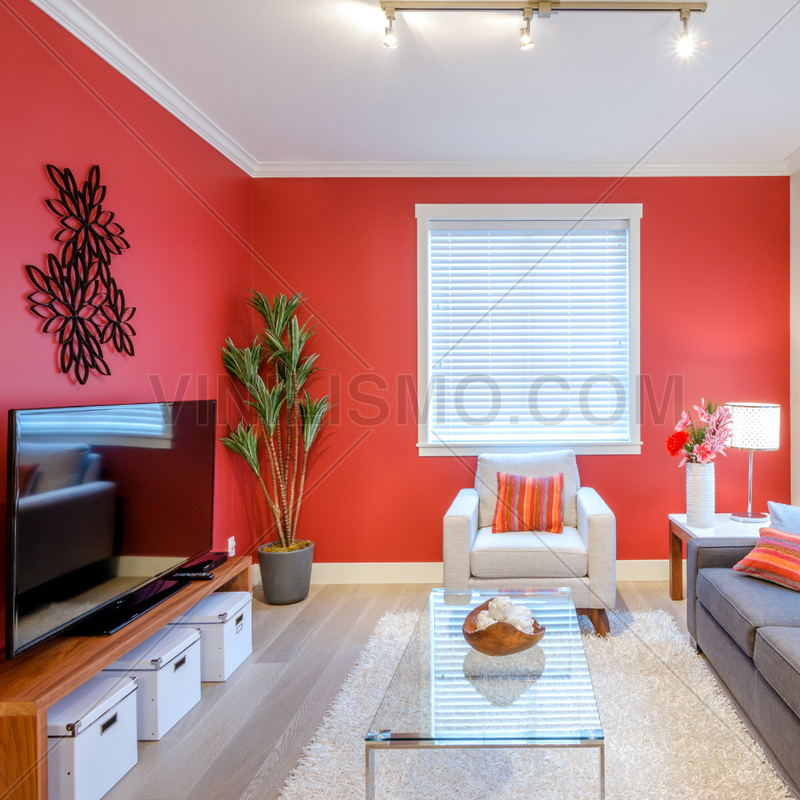 The wall decals are a great help in establishing the style of a room. As may be used in many areas, they are very versatile and not limited to walls. For a Boho-Chic style, choose to orient your decor with vinyl towards ethnic reasons. Remember that the red, orange and violet colors are very representative of this style. Ethnic stored in these colors will give your apartment a touch of sophistication. You can also use vinyl for decoration to give a touch Boho-Chic to your furniture. The possibilities are limitless, it's time to let your imagination. 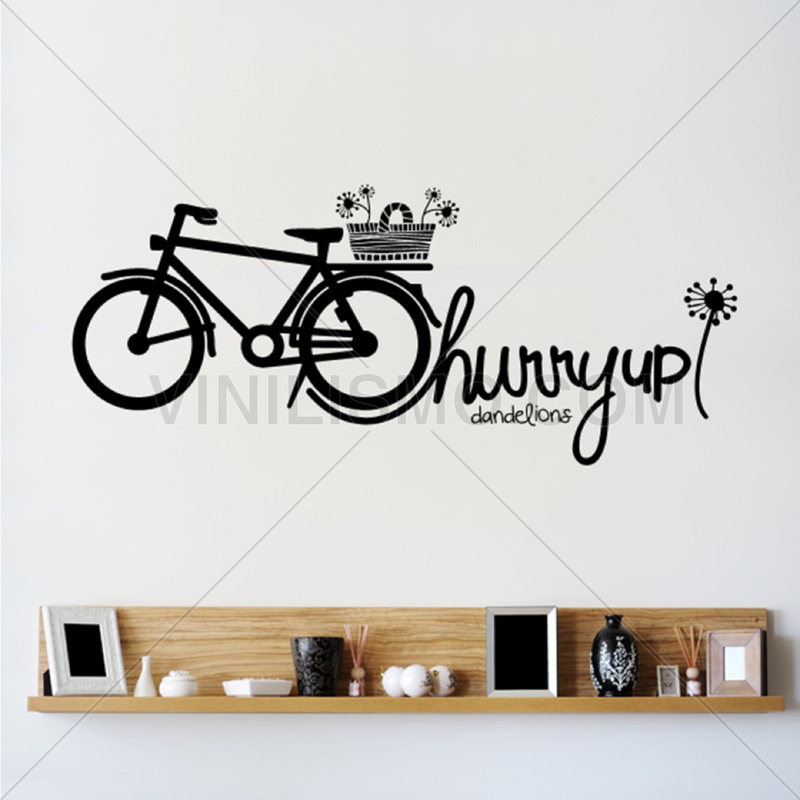 This entry was posted in Interior Decoration, Wall Decals on July 30, 2015 by Vinilismo. When it comes to planning and executing a process of decorating houses, one of the things that give more importance is originality. Nobody wants to invest effort and money to end up with a similar result to that of others. 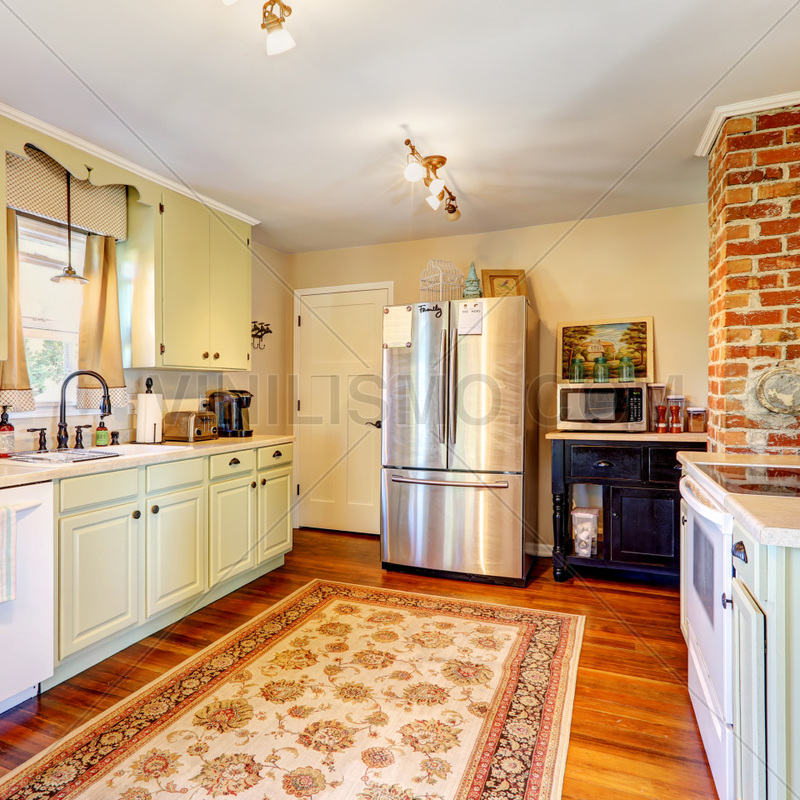 One way to highlight your kitchen giving prominence and distinguish it from others, is choosing geometric motifs. When we go to choose tiles and ceramic guards, we see that classical motifs related to cooking as cartoon fruit are offered. But would not it be nice to modernize some environments? Those who love spend much time cooking in the kitchen of her home, then it is best to turn it into an environment with which you identify. 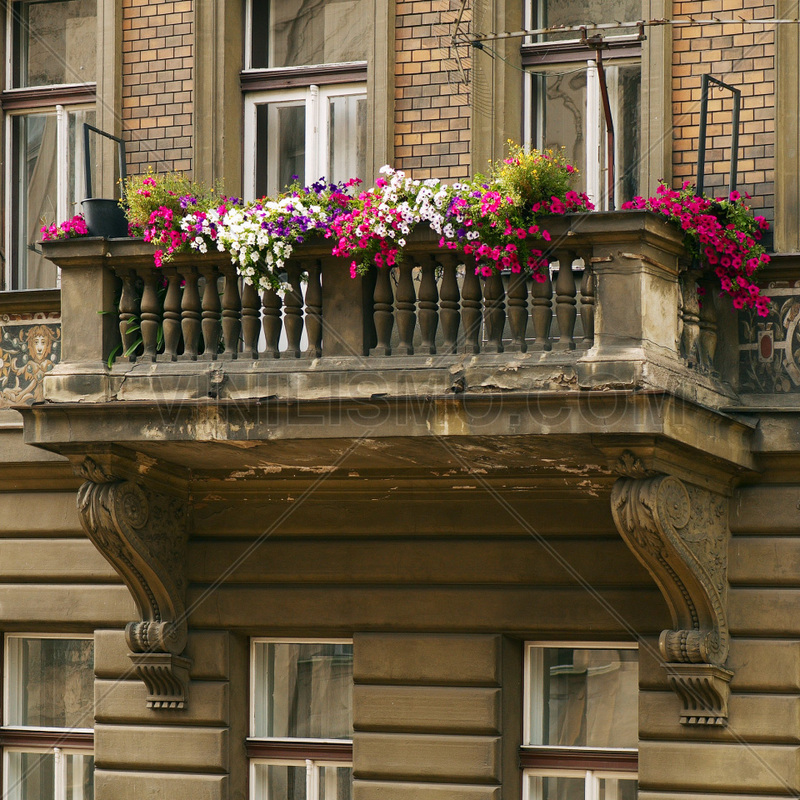 If you are modern, original and unique, why pursue a decoration of houses with classical motifs that bore you? 1.- Balance: Well-used geometric motifs give balance to the environment. The geometric furniture interact with the environment, so it is advisable proper planning with this in mind. A geometric pattern take center stage, so the furniture must be attached so that everything is balanced. For example, before a wall with a pattern of triangles of different sizes and colors it is a focus that need not compete with a table in the same way and in bright colors. 2.- Freedomand endlesscolor combination options: the use ofgeometric elementsgives the possibility toplay with colors. Encouragedthe contrastis essential.Once you findacolor paletteto your liking, it's time toplay withcombinationswithcontrastandharmony.Choose awhite /blackcombination iseasyand effective, buttake a riskwith different shades ofpurplewitha strikingorange isa challenge thatcan work andgivegreat satisfaction.Rememberthat colorsaffectyour mood. Pastelsawardedfeeling of tranquilityand harmony, while the strongest andstridentcolorsgive a sense ofenergy, vitality, andyouthmovement. 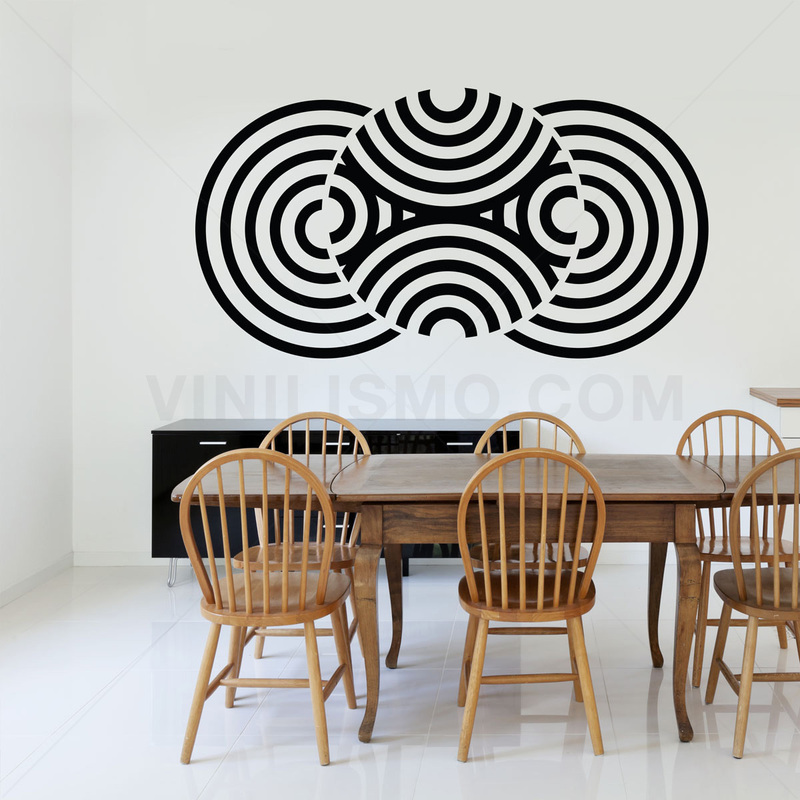 3.- Illusion of extreme order: A room decorated with geometric patterns is the delight of fans of the order. A wall decorated with squares of the same size and color, a shelf with geometric objects perfectly arranged a round table with round stools, all perfectly settled and neat. The dream of all obsessive of the order. To achieve these prints, the best option is undoubtedly the wall decals. 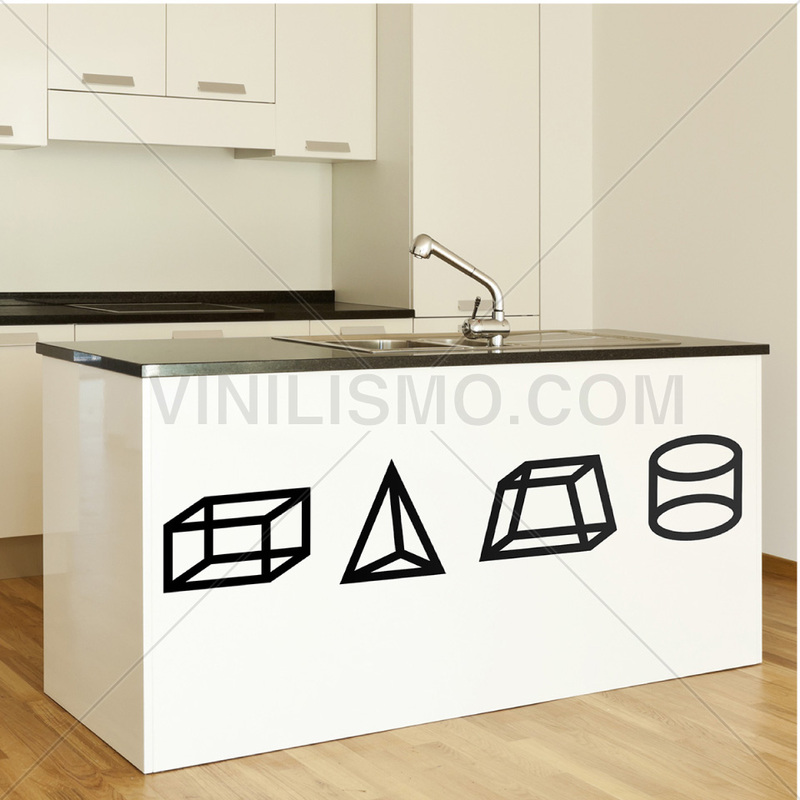 The vinyls are an indispensable wildcard when decorating your kitchen with geometric motifs. The vinyls require an application that is simple and clean. They can be applied to different surfaces: You can change the look of your refrigerator to match an opposite wall with rectangles in complementary colors. 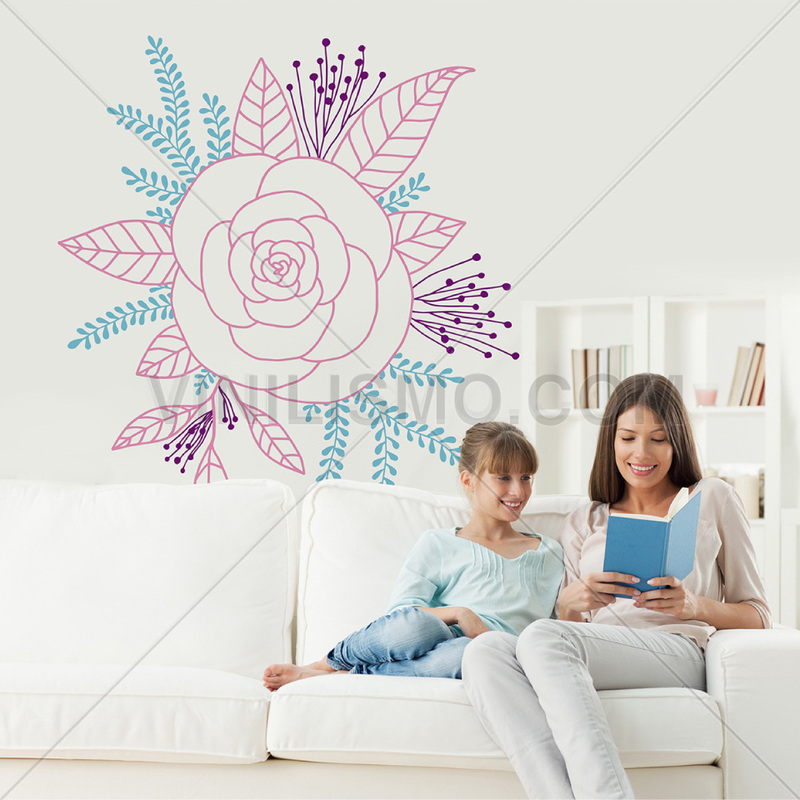 Instead of painting the geometric patterns on the walls, with the risk that there are no repetitions, you can choose to cover them with wall decals. This will not only save time and provide a better result, but will allow you to choose colors and combinations you can think of. Join the trend to decorate your kitchen with geometric patterns and see that the result will be spectacular. 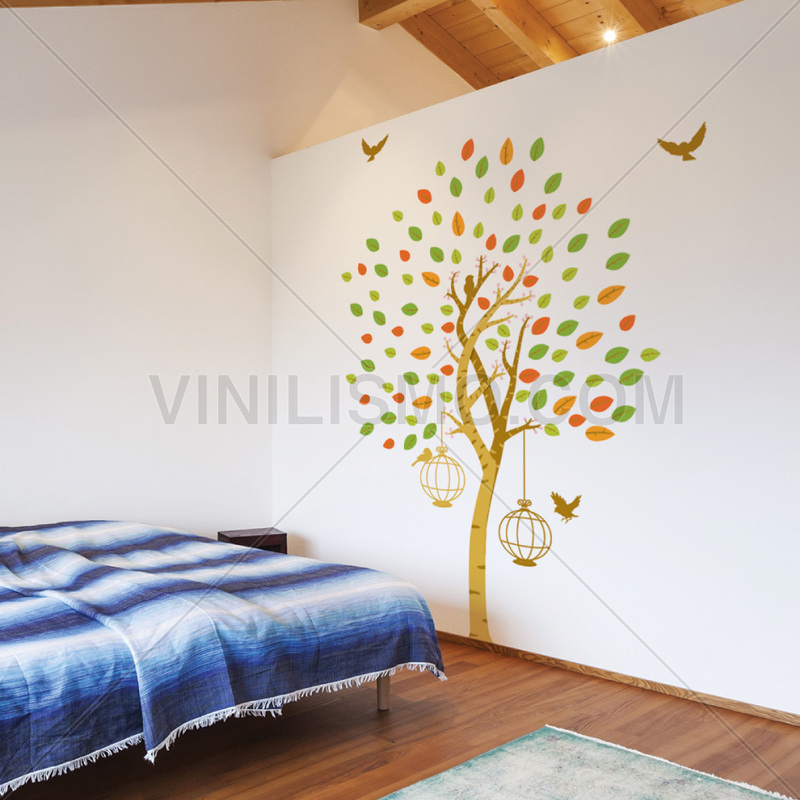 This entry was posted in Interior Decoration, Wall Decals on July 24, 2015 by Vinilismo. The environment in which our daily life gets unwrap directly affects our mood. 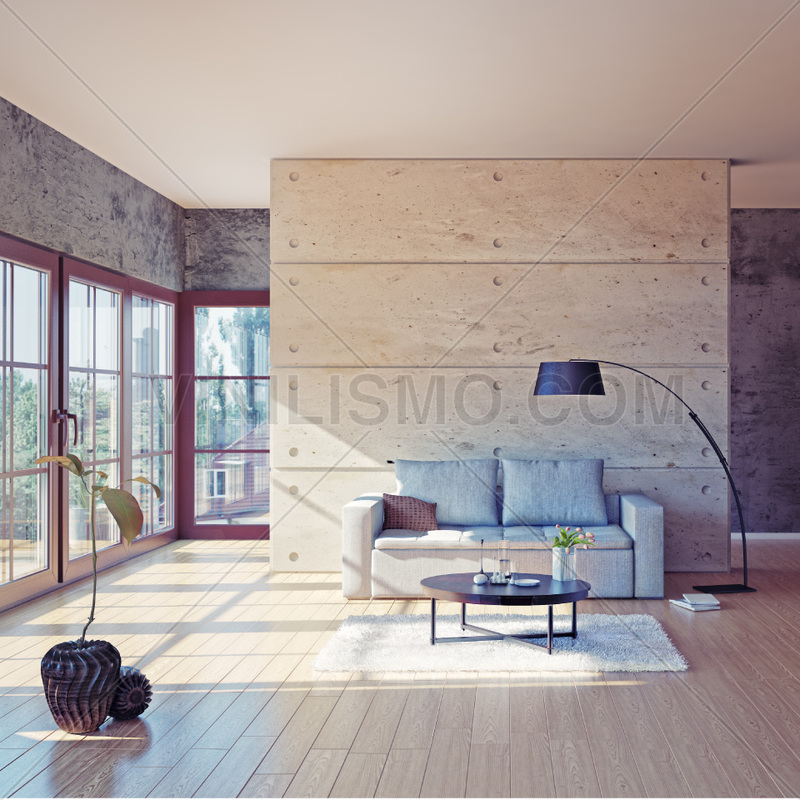 Therefore, in recent decades, the importance given to interior decoration has grown progressively. Currently, most people worry about decorating the rooms of your office or home to create a living environment or more personal and enjoyable. Unfortunately, not everyone knows how. The ignorance on the characteristics of each style of decoration, leads to mistakes that hurt all the work. 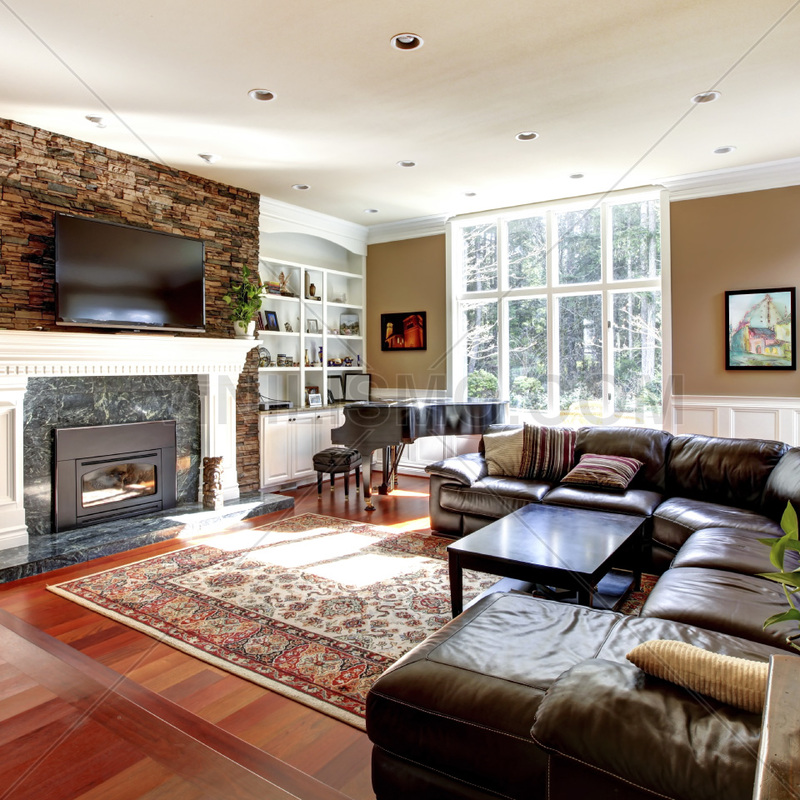 So, before choosing a style for your room, you should know the characteristics of each. On this occasion, we will explore the Shabby Chic style, a romantic but at the same time cheerful style, which can be used in any room in your house. To begin, we say that a room decorated in the Shabby Chic style takes us back to stories like "Mujercitas" or any novel by Jane Austen. Pastel colors, woods, flowers, everything is very feminine in this style. Furniture should not look new, but in this type of decoration ancient and modern combine. The ideal is to paint an old piece of furniture with pastel colors, and apply some technique and patina. An old light table with a green patina water will be fine in a room decorated in this style. 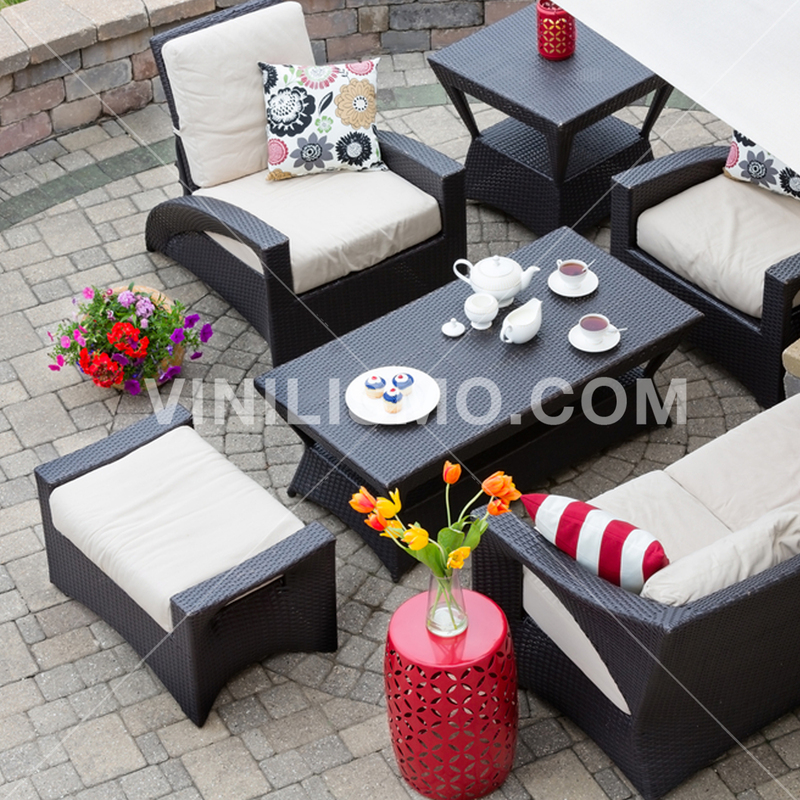 The new and modern furniture also combine with the decor if the same procedure is applied. Among the most representative Shabby Chic style colors the protagonist is white. This is due to the need to balance the abundance of accessories, patterns and textures own of the style. White can overload the environment with objects and motifs. Then, all pastel colors: pale pink, aqua, blue pastel, corn, etc. Use white for decorating walls and then compleméntala with other objects. Another feature is the abundance of "accessories" such as cushions, curtains, carpets, mirrors with antique frames, candlesticks, empty bottles and wooden chests. Also a chandelier give a special touch to your dining Shabby Chic. 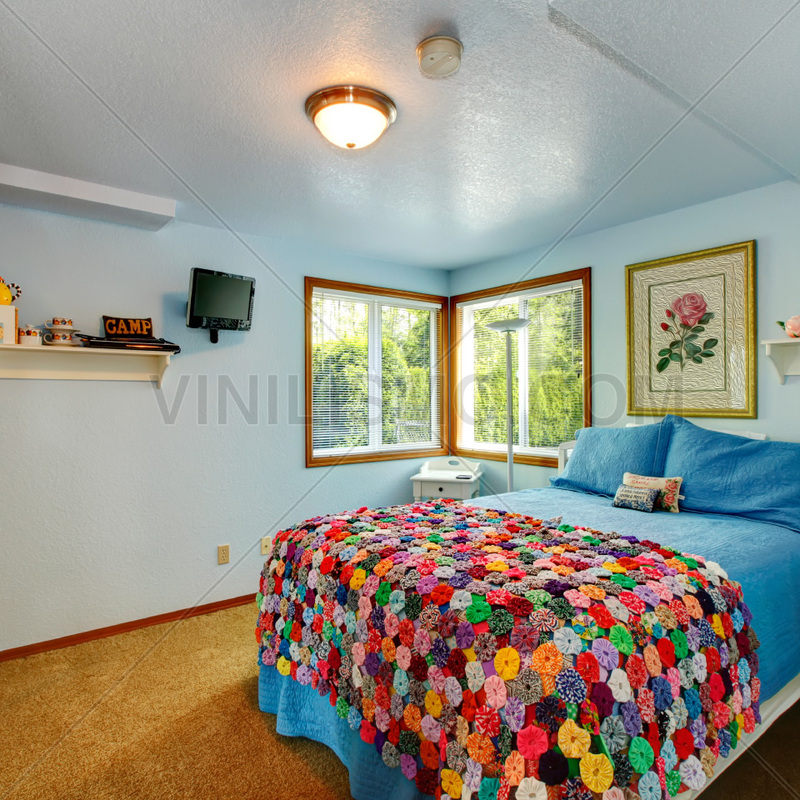 Floral designs are essential: no room qualify with this style if there are one or more floral prints. But not just any flower: always choose small and abundant flowers, and do not forget the pastel colors. It can be an upholstered armchair in this occasion, cushions, curtains, etc. But to impact, a floral print for decorating walls in the room will look fabulous. For this you can use special wall decals. The advantages of the wall decals are many. There is alot of models. Can be used on many surfaces: for decorating walls, wooden furniture, doors, ceramics, and even on ceilings for an original and daring decor. You canhire a professionalto placeor you can dowith your own hands. They arehighly customizable, and you cancombine them. We hope these tips will encourage and help decorate your room in this feminine and romantic style. 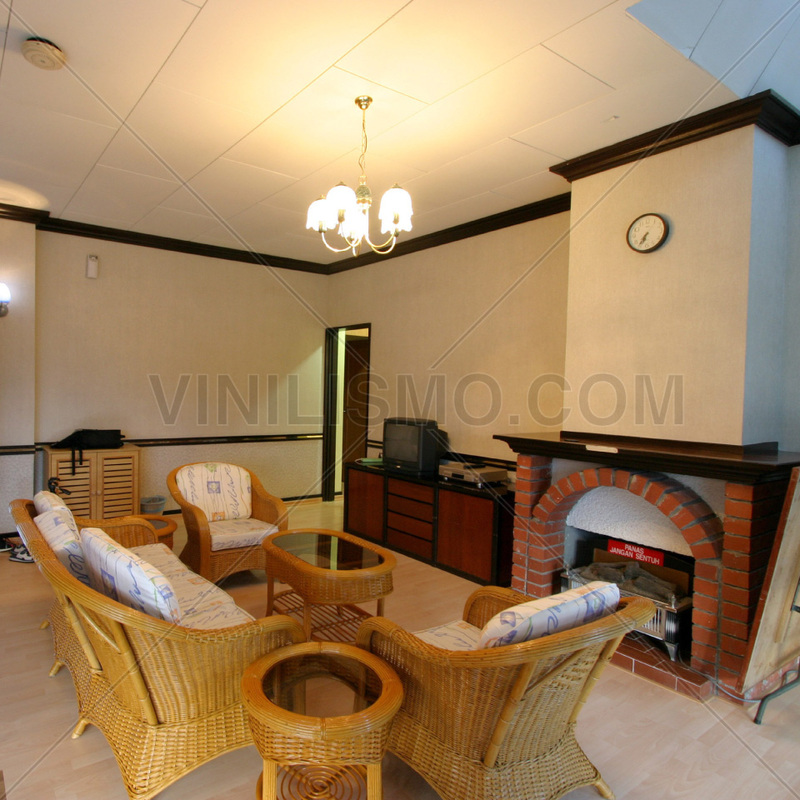 This entry was posted in Interior Decoration on July 23, 2015 by Vinilismo. 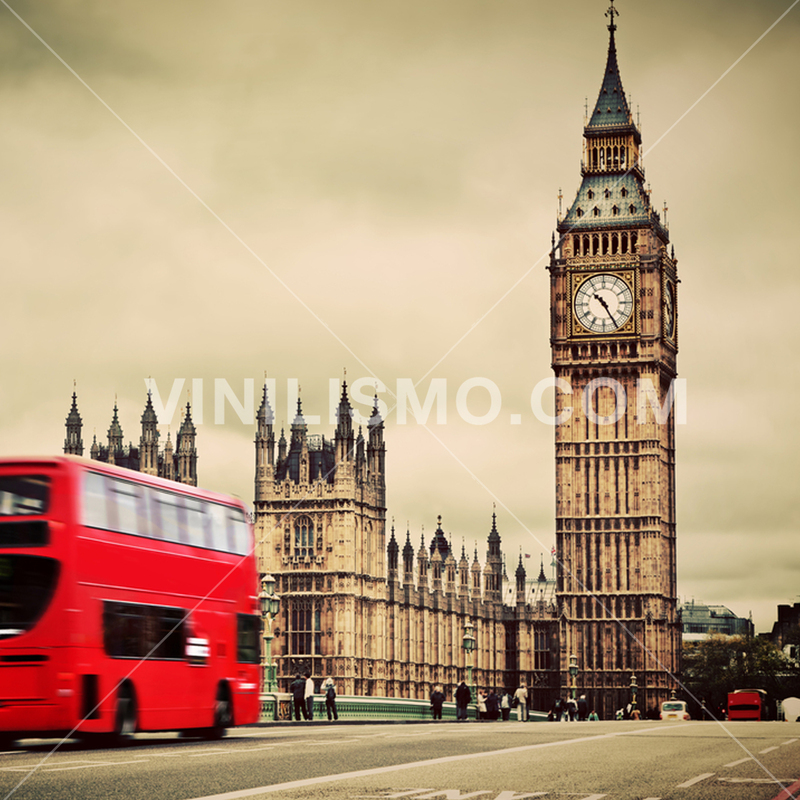 A decorating style that today is very popular is the London-style decor. It is very common to confuse the English style itself with this style. However there are differences that are clearly marked. Mainly, one of the main features of London style is relaxed and sophisticated at the same time design and is usually directed at male audiences, under which often use dark colors and a bit saturated and the most common materials are metal and leather. 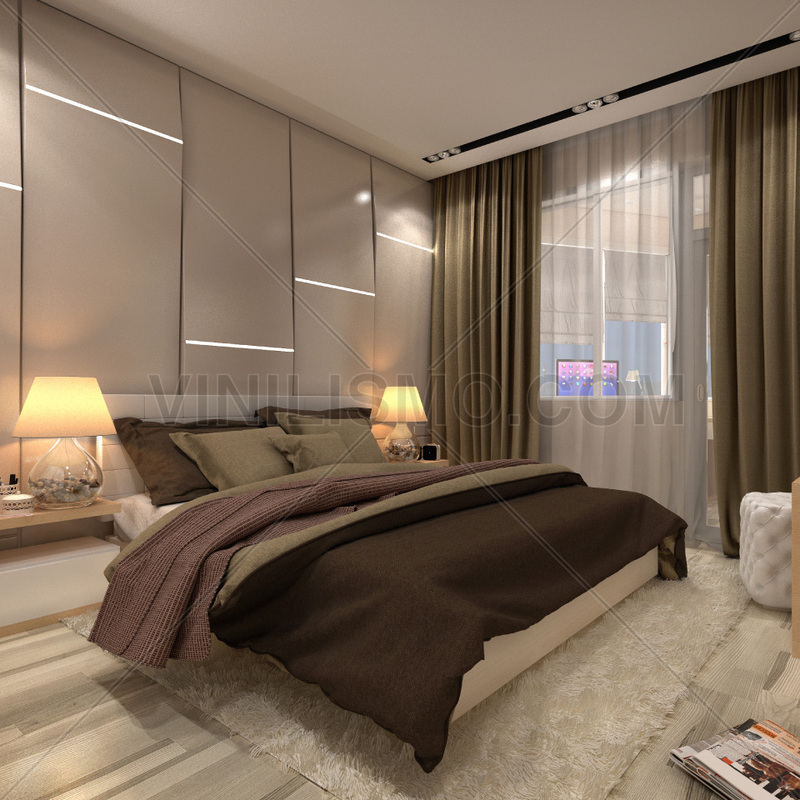 One of the first considerations to make is that despite the use of dark tones that can give a picture of a slightly off environment, poor lighting that there should be located strategically to highlight certain focal points (for example, some wall decals) and thus vinyl generate a mysterious and intimate atmosphere. A plus is the London style that combines antiques with modern lamps or vice versa furniture (modern objects in conjunction with outdated furniture and lamps). However, beyond everything it said so far this style has two main axes can not ignore. For one, the walls painted black or dark navy blue (you can even apply wall decals to match the occasion) and on the other the English flag. This particular item, you can use both upholstery, curtains or even placing a wallpaper on the wall. Once you have these two basic elements, you can continue decorating and combining your furniture, accessories, lamps, etc. With regard to furniture, there are no limits except those that are painted or are of light wood as well as those with a feminine style, because they go against what the London style needs. For this reason, seeking broadly choose furniture with dark wood tone and possibly with straight lines unadorned. Going to the particular, in the case of wanting to have a sofa you need to know that it must be leather and preferably chocolate or black and if possible acquire it used, much better. Continuing along the upholstery is a rule that you forget delicate fabrics (the silk) and patterned with flowers. This is because as the leather is the material of choice, the rest of the upholstery must be thick and strong. An idea that will be helpful is to try upholstered bench seats with a Turkish or Persian carpet or if you prefer to opt for artificial skins. Finally, in relation to the decorative objects there is no particular restriction but avoid incorporating those that give a delicate image. As for colors, you can use the gold, bronze, copper and even silver lamp frames. 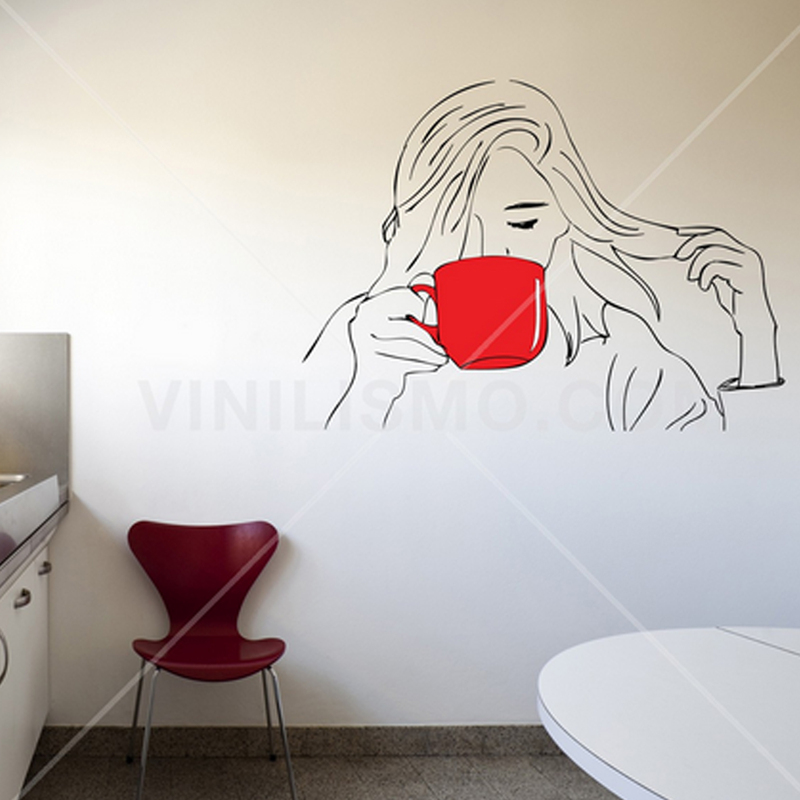 Since Vinilismo.com, we hope this article has been helpful to decorate your home to London style and do not forget to consult for wall decals of custom designs that can complement your decor. 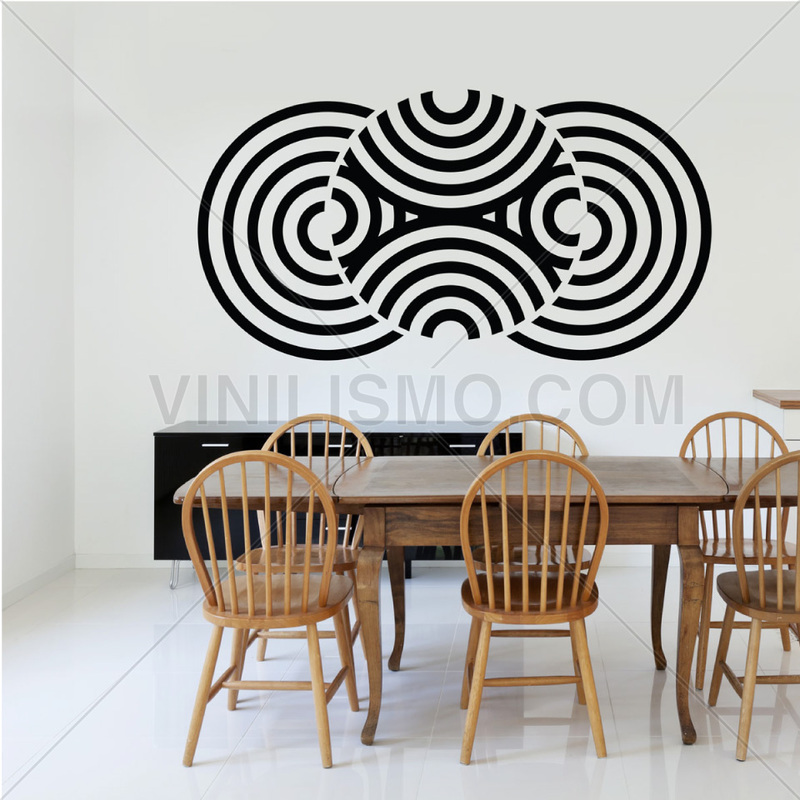 This entry was posted in Interior Decoration, Wall Decals on July 17, 2015 by Vinilismo.